AC-FL1024 The Yamaha FL1024 is a 1GB flash memory board designed for Yamaha Tyros 4 Tyros 5 and Motif XF and MOXF6 and MOXF8. The flash board replaces traditional Dimm memory and no load time is required for your samples. AC-RT100152 On the go and need something compact and fun for practice? 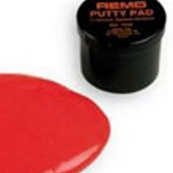 Try the Remo Putty Pad. The Putty pad is a flexible, mouldable dru practice pad for use practically anywhere. 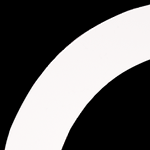 AC-DM000501 The DynamO is a hole cutting template for resonant Bass drumheads that provides a vent hole for all drum mics. The DynamO is a laminated Mylar with a high strength adhesive backing providing added durability for the drumhead to prevent tearing when adding or removing microphones. AC-TF8 Tuner Fish Lug Locks are the leading accessory for drummers worldwide that help prevent the de-tuning of your drums in varying situations. AC-VFESBRED Designed to hold 4-5 implements. 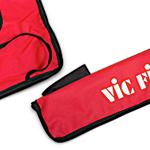 Features a hook-and- strap system for hanging, internal pocket and elastic drum key loop. AC-DWSMSVKIT An essential box of tricks, the Drummer`s Survival Kit includes a reusable hard plastic case with pretty much every tiny but vital spare part of hardware they will ever need! AC-TF50 Tuner Fish Lug Locks are the leading accessory for drummers worldwide that help prevent the de-tuning of your drums in varying situations. AC-PM100 Delivering rich, dynamic sound from a minimal footprint, the PM-100 is the ideal compact monitoring solution for Rolands V-Drums. Equipped with 80 watts of power, the PM-100 features a custom full-range speaker system and rugged cabinet specially optimized for reproducing the famously expressive V-Drums sound and response. 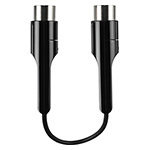 And with onboard mixing capabilities, youre able to connect music players and other devices for practice and enjoyment while playing at home. 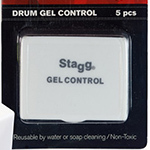 AC-DGC05TR Each self-adhesive dampening gel pad sticks firmly to the surface of cymbals, drumheads and heads of most percussion instruments to eliminate annoying overtones and obtain the perfect sound. AC-DGC05BK Each self-adhesive dampening gel pad sticks firmly to the surface of cymbals, drumheads and heads of most percussion instruments to eliminate annoying overtones and obtain the perfect sound. 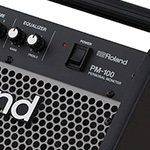 AC-PM10 The Roland PM-10 is perfect for all your V Drum monitoring needs, delivering a powerful 30 watts through a 10 inch speaker. AC-VFESB Designed to hold 4-5 implements. Features a hook-and- strap system for hanging, internal pocket and elastic drum key loop. 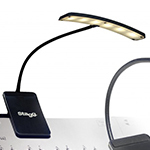 AC-MUSLED6 The MUS-LED6 is brought to you by STAGG in a multi-purpose and free-standing clip-on design that can be used with 3x AAA batteries or a USB cable (both provided). 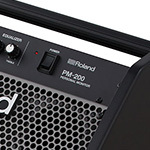 AC-PM200 Delivering rich, dynamic sound in a streamlined package, the PM-200 is the ultimate monitoring solution for Rolands V-Drums. Packing 180 watts of power, the PM-200 features a custom full-range speaker system and rugged cabinet specially optimized for reproducing the famously expressive V-Drums sound and response. And with integrated mixing and direct output capabilities, its easy to interface with other devices at home or on stage. 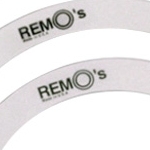 AC-RO023600 Remos Rem-o-ring pack inc 10, 12, 13 and 16 inch rings. 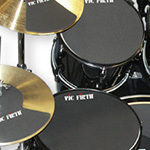 The remo rigns are an easy method to control overtones on your drums. AC-KS0002PH The Falam Slams are maximum durability beater impact patches for all Bass drumheads. Constructed with high-strength Kevlar, Falam Slams increase the longevity of your Bass drumhead as well as the beater attack in the sound of the drum. 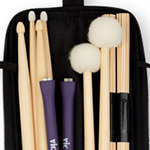 AC-VFMUTEPP7 This Vic Firth Drum Kit Mute Set allows you to mute all drums on your kit with an 18" bass drum, including your toms, snare drum and cymbals. AC-PDAXPL18 As with all drums, the one thing that they do, is resonate - the PDP 18" depth Bass Drum pillow allows you to dampen your sound to remove unwanted overtones for a quick attack and decay. 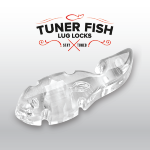 AC-TF24 Tuner Fish Lug Locks are the leading accessory for drummers worldwide that help prevent the de-tuning of your drums in varying situations. AC-TF4 Tuner Fish Lug Locks are the leading accessory for drummers worldwide that help prevent the de-tuning of your drums in varying situations. AC-CB-TDP The Roland CB-TDP is designed specifically for use with the TD-4KP Portable V Drum Kit, providing a safe and convenient way to transport your rig to band practice or gigs. Comes with all the straps and pockets you will need. AC-ARX01 The ARX-01 Drum card is designed for Roland ARX expandable instruments. ARX brings SuperNatural technology to the table..
AC-FL512M Yamaha FL512M 512Mb Flash Memory module for Yamaha Motif XF workstations and Tyros 4 keyboard. With the new flash memory technology you never have to wait for your samples to load ever again. AC-MDBT01 The Yamaha MD-BT01 is an affordable wireless bluetooth MIDI solution for conntecting 5 pin DIN MIDI devices to your DAW system including PC/MAC or iPad.